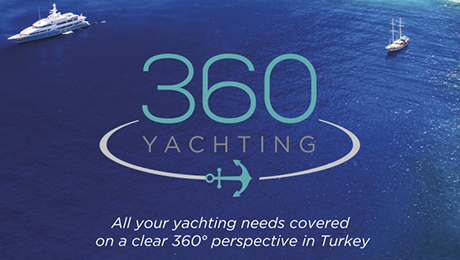 360 Yachting base is a highly recommended Yacht Services company in Turkey, run by experienced Onur Ozgey, who can take care of anything, making trips to Turkey seamless. Captains say Aquamarine provides “Excellent service during our many visits. Friendly and helpful staff, very knowledgeable with good contacts”. CEO Melis Giraud is a reputed yachting pioneer and, together with her vibrant experienced team, they offer mega-yachting services from Istanbul to Mersin. Said to be the largest yachting agency in Turkey with contact offices from Istanbul to Antalya, Begüm Yachting owns the Barka Shipyard and proposes a comprehensive list of services from administrative red tape management to provisioning and beyond. With excellent recommendations from several Captains, Bodrum Yacht Services is your one stop shop for just about every service you could ask. They will arrange technical support, administrative procedures and provide many other services around the clock. Captains tell us it’s great to have Gino Group smooth out all the administrative details involved in country clearances. Once in Turkey, they can also look after berthing, provisioning, limousine services, chandlery and more. Captains tell us that NIS Yachting have a team of reliable experts ready to advise, support and assist you in every aspect of yacht operations. NIS provides 24/7 comprehensive tailor-made yachting and concierge services. Located in the Milta Marina, Sky Marine provides all yacht agency services and can provide anything from boat cleaning or marine electronics to yacht plumbing or osmosis treatments, and much more. Founded in 1994, they have solid experience in a wide range of technical support areas. Service provided in Bodrum, Yalikavak, Marmaris, Fethiye, Göcek, Kusadasi and Didim Marinas.